The 5th Annual Cottage Charm Giveaway has now officially begun! Bigger and certainly grander than the royal wedding of William and Kate :), this special annual event, will run until May 29th, 2011. This is a multi-blog, month long event beginning Sunday, May 1st where bloggers give away, on their blogs, items they feel exhibit "Cottage Charm". Anyone can join at any point in May before the 29th. On May 29th, all participating bloggers will announce their winners and post it to their blogs. An ongoing list of ALL the giveaways and participating bloggers is maintained by our fabulous hostess Kim at her fabulous blog, Twice Remembered during the entire month of May. The list grows and grows the whole month of May as bloggers add their Cottage Charm Giveaway to their blogs. So you'll want to keep checking back each day for new give-aways! According to the posted rules, I am supposed to tell you how to enter this give-away. Just leave a comment so I know you were here and if you are posting as anonymous you must leave me an email address so I can contact you if you win. And I would love it if you would sign up and choose to follow my blog. :) Tell me in the same comment that you have signed up to follow, so I can count you twice. And all comments must be on this post to qualify so my feeble mind can keep up. No international this time as the package will be quite heavy. So.....there you have it, ........ easy peasy. Now go follow and check out all the other wonderful give-aways right here. After that early morning meet up with Joe, it's time to hop in the shower. Included in my cottage give-away is une barre de savon affine par triple broyage a base de legumes, emballee dans une belle boite de souvenir. (pink French soap in a beautiful box) Oh my! My morning always starts with a look at my "to do" lists? Does yours? If it weren't for my notes I would be lost. 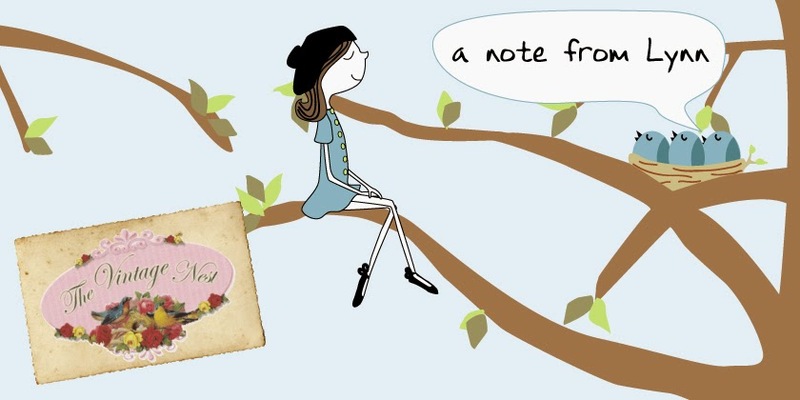 "Note to Self" is perfect for those daily reminders you don't want to forget. I know most of you love vintage as much as I do. ..... And monograms and old tattered leather and burnished gold gilt and shabby goodness and worn vanilla tatted lace and the gorgeous patina of ancient ephemera that only time can give. On my recent day at the auction, I discovered these fabulous 1920's books in a beat up box, hidden under some old clothes. No one but me (I think) discovered this and I was the lucky recipient of these gorgeous old pieces....two of which will be yours. Won't they be gorgeous in a vignette in your home? And near and dear to my heart, I am also including a real authentic bird's nest, collected from the grounds of our farmette. Bobby G. picks these up as he is cutting the grass and always presents them to me as a precious gift, which it is! This dear perfectly made nest would be so sweet under a cloche next to those old books. :) Bringing nature inside is so much a part of cottage living. Discarded nest, feathers, moss.....they all add so much organic texture and interest. So I would also like to include a real honeycomb, sweet as can be and so unusual. This piece is just beautiful showing such perfection in those hexagonal cells. This colony of bees decided to build under my neighbor's decking and when it was removed last Fall, she immediately called me, knowing how much I would love it. I hope you will too! The day has been very busy and it's time for dinner. You are cooking a sumptious dinner tonight aren't you? I thought so. And I know I am invited. Add a touch of elegance to your dinner table with this fabulous ornate silver menu holder. The day is winding down and you are tired. Retire to your boudoir, light your beautiful and very elegant new white pear "Gardeners Eden" candle and relax. And while no one's looking, pull out these Belgian chocolate drenched oreo cookies you are hiding and savor the moment. Pure yummy perfection! And the end to a beautiful day. Wow! Love these finds...and would you mind changing the text on the table menu holder to: "Invite Gabriela to lunch", please? LOL! Oh, Lynn! You have put so much heart and thought into this giveaway and it is just exquisite! I enjoyed reading every little detail about each splendid gift! I would love to be entered in your giveaway and will go see about the others participating this blog-wide event! I've been thinking about doing a giveaway myself...maybe I'll join in! What a great opportunity! I've been a happy follower of yours for some time as well! 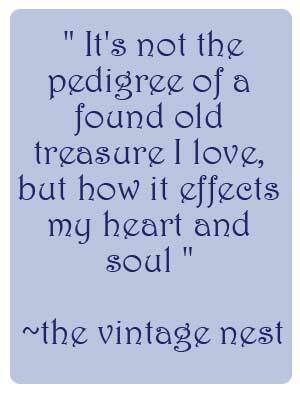 I always enjoy my visits here to your vintage nest! So glad you are participating, cause I follow your blog, and love my visits here. Very impressive post. Charming as always. Love the giveaway. Please add my name twice, I have followed for a while now. Wouldn't miss a post! What a darling giveaway. Who wouldn't want to win? Dropping by from Pink Saturday. Happy Pink Saturday to you - what a fabulous giveaway! Oh, oh, oh!!! I hope I win - Joe and everything else! Blogtrotter Two is still strolling in Amsterdam... Enjoy and have a superb weekend!! I follow you and how I would love to be the lucky one! Everything is so chic! Oh my gosh, what a wonderful giveaway. When The Vintage Nest has a giveaway, it is always SO Delightful. I love it. From the soap, to the cookies to the menu stand, oh wow I can hardly wait. And I can even leave myself a note to remind me. Yea!!!! OoooLaLa that french soap is gorgeous. Already a follower...sign me up!! What an amazing giveaway and a fun event !! Hi Lynne...what a wonderful giveaway...unfortunately I come under the heading of 'no international'. Happy Pink Saturday! What a wonderful giveaway!! I'm following you now. I don't know why it's taken me so long! Happy PS Lyn. Lovely pinkies and giveaway! I'm from the far east. Too far. Put my name in the hat girl & I am already a devoted follower! Tiffany from The Cranky Queen...Join my Mother's Day Giveaway over at my blog! Wow, you know how to do a giveaway!! I am now following and looking forward to reading through your blog. Love the nest, the books, the honeycomb, the CHOCOLATE ! Yum!! What an amazing Giveaway - those goodies are perfection. Have a Happy Pink Saturday. I am now happily following your blog. The give away is an exciting way to celebrate May! Happy Pink Saturday. If I only had the box!!! It's wonderful! Love it. What a great giveaway. Someone will be a lucky lady! I love the Tall Dark Handsome Joe! Can he come by my house? So sorry I'm so far, this is an amazing giveaway! Love that cute french soap box! Add my name to that lunch list also please.... Thanks for sharing so many wonderfully vintage treasures and Happy Pink Saturday to you - if I wasn't already, I am now a follower also. Oh my what a beautiful gift. I am following now, please enter me. To Lynn from Lynn! I love your giveaway treasures! I usually don't sign up for the gives, due to the fact that I am old...no. make that older...no wait . change it to oldish, and I have had a lot of opportunity to gather lots of treasures! But THESE? I want! Oh my goodness! What a tremendous giveaway! I already follow, and think I will join in next week. Such a gorgeous and generous lot. Great give-away! I can't wait to round up my stuff for my own. LYNN..LYNN...LYNN.....I'm loving this giveaway!!! OMG...everything is so splendid! I'd be so excited to win, so please toss my name into the hat for the chance. Also I "think" I'm a follower already...can you e-mail me if I'm not so I can sign up. It seemed that I was, but you know me and how dumb I can be about computery stuff!! Hope you're weather has been calmer lately. We've had back to back outstanding days in KCMO!! Boy oh boy did we ever need them! Hello! Great Cottage Charm Giveaway - I'd love to win this one! I am participating too! You can find me on Kim's Twice Remembered Cottage Linky list! I am a follower! Would love to win! Oh what a wonderful giveaway! I would be honored to win! Please include me. Now today I must go out and get some goodies so I can have a give away also. Lynn,I am a new follower! Hi Lynn, What a beautiful giveaway. I love everything you have included and you know how much I love chocolate! That's a lot of good stuff! Wow! Some winner will be very lucky!! What an awesome give away! Please enter my name in the hat!! wonderful wonderful, please enter me! What a wonderful giveaway and such a beautiful blog you have. Please enter my name. newest follower. thanks for the chance, great stuff! Happy PS! Have always visited your blog and now I am a follower. My my my what a giveaway! Couldn't figure out how to leave a comment on your blog :( but had to let you know how much I enjoyed it. What I love more than the 'giveaways' is finding more like-me-minded bloggers that constantly inspire me to be creative. I've added you to my Reader and am looking forward to more inspirations. If I had a blog I'd promote you too. OK, you win that was the best blog post and giveaway ever. Count me in! I am a follower of your blog and you are having an amazing giveaway and I would love to be included in it. I love the days to do list you put together for us! I just became a follower and can't wait to put the menu holder on my table and the books on my mantle. Wow! Looks like a wonderful giveaway! Of course I have to enter your giveaway and I'm following you now, too! Sweet bloggie you have. Everyone has such great items to give away. Just looking through them all is half the fun! Thank you for hosting such a great give away! Very generous give away! I'm a brand new follower. Thanks and have a pickin' cool May! Oh my gosh! Everything in your generous giveaway is just awesome! I'm a sucker for birds nests and the books are so cool! Thanks fro the chance to win!Oh, and I am a new follower of your beautiful blog! This giveaway has me totally exited... everything is so precious. Oh Lynn, please do count me in for your generous giveaway. What a fab idea! How fun to have so many giveaways going on. 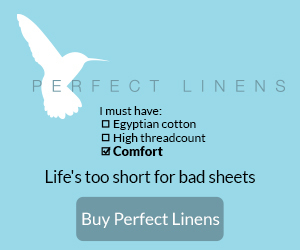 The items you have carefully chosen are so unique and beautiful - love them all. But, the birds nest and honeycomb really drew me in! BTW - I'm your newest follower and can tell that we'll be fast friends! Enjoy your week, I'll be back! My goodness Lynn, you have put together such a sweet, lovely giveaway, Oh happy day for some lucky gal! Please include my name, thank you and Happy Spring! What an amazing giveaway! Everything is beautiful! Oh that soap box! +1) I am a new follower! Hi Lynn! What a wonderfully thoughtful and unique and fun giveaway! ALL of these treasures just sing to my heart! ♥ Thank you for the opportunity to win!!! I'm your newest follower, Lynn! :) Love your blog, girl! I am so glad to meet you also, I am having the giveaway with Sherry. Thanks for becoming a follower and best of luck in our contest. Now it's my turn, beautiful gift items, what a wonderful giveaway. What a fabulous give-a-way Lynn! I think I might have to join in on the fun!!!!! Wow! What a lovely collection of items & suggestions of how to use them. My mind is imagining so many things I could do with them. Fingers crossed! Hello! Wonderful give away...very creative! All I have to say is WOW. Wowee wow wow wow. I would love to be included in your giveaway! The nest and honeycomb alone are amazing, let alone all the other goodies! I'm joining in the Cottage giveaway too so be sure to come by tomorrow to check it out! Thanks and have a beautiful Thursday! I thought I was already a follower, but evidentally I forgot to hit that darned button. I always do that! I made sure to hit it this time! I'm a GFC follower! What a lovely giveaway. Thanks so much! I'm your newest follower! What a fabulous giveaway! New follower :) What a lovely giveaway! Joe really is tall dark and handsome, be still my beating heart! Wow, what a bunch of lovely goodies!! Please enter me in your great giveaway. I'm a new follower. I am a follower of your blog now too. I would GLADLY follow (new follower here) to the ends of the earth just for one of those cookies!! Thanks so much for sharing this wonderful giveaway! What a beautiful and generous giveaway. I would love to win. Please include me in the drawing. I am now a follower! Lynn this is so exciting and so thoughtful!! I love it all!! PS come and visit on the 15th! Wow, wow, wow! Please enter me in your oh so generous giveaway! I am drooling over the thought of Joe, as well as the gorgeous soap and those yummy looking cookies! Oh, and I just became a follower:) Merci! What a beautiful blog. You simply take my breath! I am running, as fast as I can, to become a follower! I would love to win this!! Especially the old bee hive!!! What a sweet and generous giveaway! I'm a new follower, so nice to meet you! Looking forward to getting to know you! What a beautiful blog and what a beautiful giveaway. I am crossing my fingers that I win. Happy Pink Saturday, Lynn. And, thank you for this exciting opportunity to win. I am crossing all of my fingers and toes that I win all of these goodies. Wouldn't it be fun if all of the pinkies could have dinner together? Ooooh! Such a good goveaway! Hoping really bad that I win! Greetings Lynn from yet another Lynn! Oh I would absolutely love to win your fabulous giveaway!! Such a wonderful and creative array of goodies you put together to share with some lucky blogger!!! Please stop by and enter mine too! What a beautiful giveaway. I would live to enter. Thank you. I am a new follower, and have to say I am so glad to have found you! Wonderful blog and a wonderful giveaway! What a great giveaway... I love them all, but my fav is "JOE"! I am addicted to coffee, that's how I start my day. I am a new follower. Thank you. What a fun contest - and it sounds like several fun contests! I'll enjoy checking others out through the week. In the meantime, I definitely wanted to throw my hat into the ring here. :) LOVED your Grand-moms quote at the bottom, as will my senior mom as she has even more frosting than I do, though I'm catching up fast. And what sweet delights - thank you for a delightful visit for Pink Saturday. You are too sweet to offer such treasures!!! What a lovely giveaway! I don't know what I like better "Joe" or the chocolate ;). Such a sweet giveaway. I'm a happy new follower to your delightful blog. Love the sweet little nest!! Oh...........what lovely gifts. Something very special! I'm so glad to follow your blog! Thanks for the chance to win some lovely goodies. I am already (and have been a follower) Thanks for the opportunity. Please come visit mine #33.
great giveaway. thanks for sharing. From your best customer in Georgia. :) Please include me in your cottage give-away, Love, D.W.
Great giveaway - thanks for the chance to win all the goodies. Hi Lynn! What a wonderful and unique giveaway! I hope I win! Hi Lynn! I'm already a follower! I love what you have chosen for your giveaway. Very nice. HI Lynn! What a wonderful and generous giveaway! I am a new follower. What a nice blog... so glad I found you. I'd love it if you wou would visit my blog and post a comment a sign up as a follower for my Cottage Charm Give-away!! I'm a new follower, but boy have I been missing out it seems :o) I would love to be entered in this wonderful and very thoughtful giveaway. I loved reading about the details of this giveaway. Thanks for allowing me a chance to win this wonderful stuff. What a lovely giveaway! Thanks! Love your giveaway! I'm now following so please put me in twice!! What a wonderful giveaway of goodies you have collected for the lucky winner. Enter me for a chance!! Please throw me into the hat too. WOW, Lynn, What a fabulous and so generous giveaway!!! I love it ALL!!! Definitely ooh, la, la. Thanks so much! I would love to spend the day with these treasures!! Oops, forgot to say, I'm already a follower!! Thanks again! How FABULOUS!!!! Any ONE of those prizes would make my heart go pitter patter!! I would LOVE to be entered in your drawing!! Wow, what a great giveaway. Please throw my name in the hat I'm going to make a cup of coffee. What a wonderful blog and an absolutely amazing giveaway! Please count me in as I would be thrilled to be the Lucky one! How delightful this giveaway is, Lynn! Count me in. Longtime follower here. This southern girl would be in Hog Heaven if I won your fabulous giveaway. You are being so generous with so fmany wonderful treasures. Thank you SO MUCH for the opportunity to win. How exciting it would be to win a give away from one of you darling bloggers who give so much already! Oh Lynn, your prizes are just gorgeous! Thank you for the chance to win. I already follow your lovely blog! What a cute post! Love the generous giveaway! What a BIG generous heart you have, this giveaway is fabulous. Please enter me, I follow. Such lovely things in the giveaway! Who wouldn't want to win? Thank you for the chance! Pam N.
Just became a follower, too! Now off to explore your blog! Pam N.
What a great blog and wonderful giveaway. Hope I win!!! wonderful giveaway! count me in! Oh, I'm quite excited! I just started decorating my home this way and winning that lovely Paris box would be perfect! I'm having some qualms about decorating this way, for instance, I can't seem to use vintage books the way I've seen some people, like the pages used in vignettes. well, maybe I can do something else.